An early agreement to buy a home from a seller, which is usually ensured with earnest money. 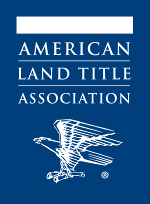 (1) A preliminary report as to the condition of a title and a commitment to issue a title insurance policy in a certain manner when certain conditions are met. Sometimes called “preliminary certificate” or “prelim.commitment”. (2) A policy of title insurance (used primarily by investors) calling for a reduced rate for a future policy if the property is sold within a specified period. The successive ownerships or transfers in the history of title to a tract of land. The exact location of a piece of real property stated in terms of lot, block, tract, part lot, metes and bounds, recorded instruments, or U.S. Government survey (sectionalized). This is also referred to as legal description of property. Devise A disposition of property made by a will. A written agreement to repay a loan. The agreement is secured by a mortgage, serves as proof of an indebtedness, and states the manner in which it shall be paid. The note states the actual amount of the debt that the mortgage secures and renders the mortgagor personally responsible for repayment. (1) To relieve from debt or security or abandon a right, such as the release of a mortgage lien from a part or all of the land mortgaged. (2) The instrument effecting a release.